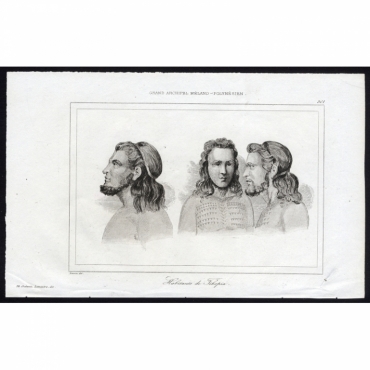 Bartele Gallery offers a large collection of antique portraits and antique prints of figures. Explore our collection and find antique portraits of kings, emperors, royals and other important figures. Bartele Gallery heeft een grote collectie antieke portretten en antieke prenten van figuren. Ontdek onze collectie en vindt portretten van koningen, keizers, royals en andere belangrijke personen. 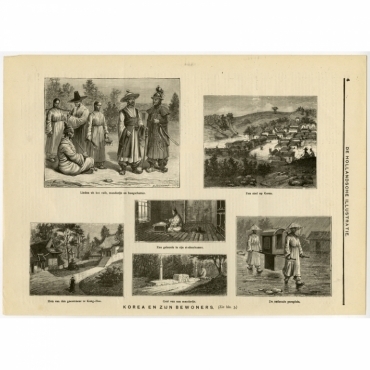 Antique Prints | Figures & Portraits There are 693 products. 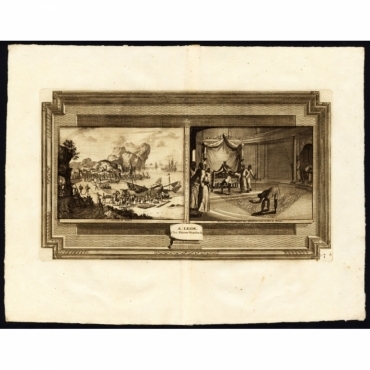 Plate page 20: This plate shows the East Indian idol / deity Quenevadi, son of Ixora. 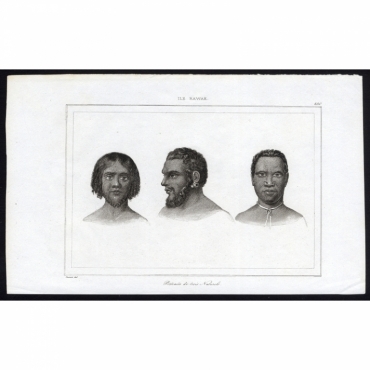 Antique print, titled: 'Portraits de trois Indigenes - 237, Ile Guebe', Portraits of three indigenous inhabitants of Guebe Island. 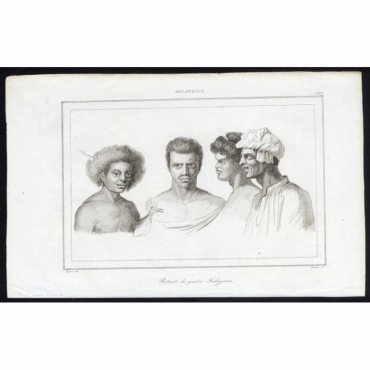 Antique print, titled: 'Portraits de quatre Indigenes - 233, Melanesie', Portraits of four indigenous Melanesians. 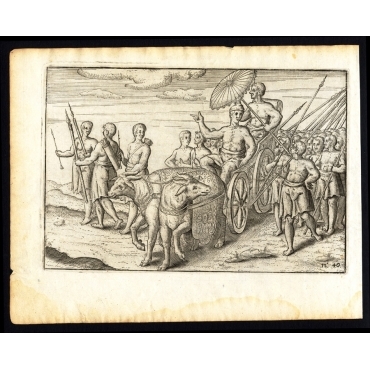 Antique print, titled: 'Missionnaire Anglican avec sa suite - 179, Nouvelle-Zeeland', An Anglican missionary and his retinue in New Zealand. Antique print, titled: 'Portrait d'Omai - 207, Archipel de Tonga', A portrait of Omai, of the Tonga archipelago. 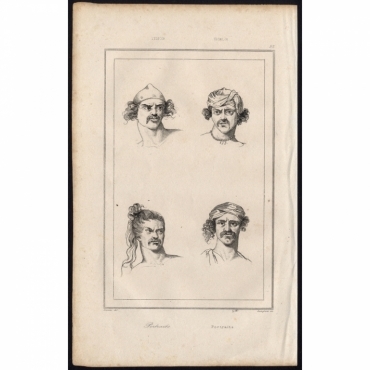 Antique print, titled: 'Portraits - 52, Timor', 4 Portraits of men from Timor. 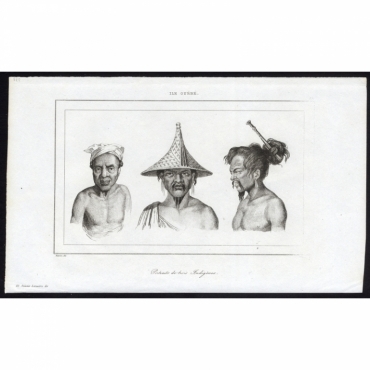 Antique print, titled: 'Portraits de trois Naturels - 230, Ile Rawak', Portraits of three inhabitants of Rawa Island. 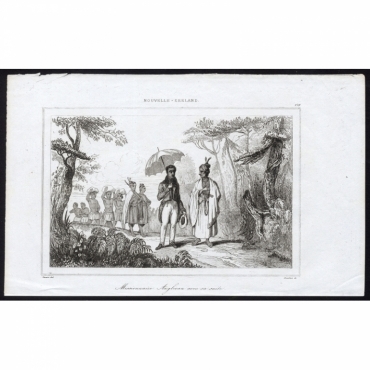 Antique print, titled: 'Habitants de Tikopia - 301, Grand Archipel Melano-Polynesien', Inhabitants of Tikopia, a small island in the Pacific Ocean. 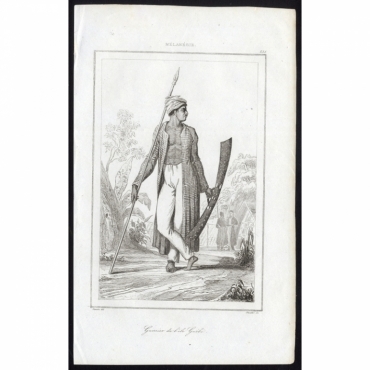 Antique print, titled: 'Guerrier de l'ile Guebe - 235, Melanesie', A warrior of Guebe island. 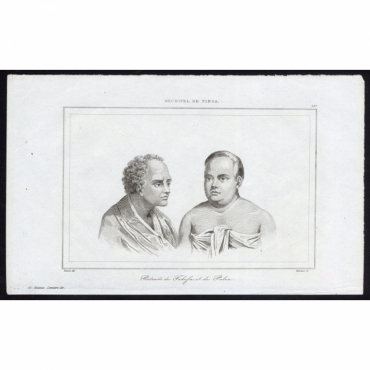 Antique print, titled: 'Portraits de Tahofa et de Palou - 197, Archipel de Tonga', Portraits of chiefs Tahofa and Palou of the Tonga archipelago. 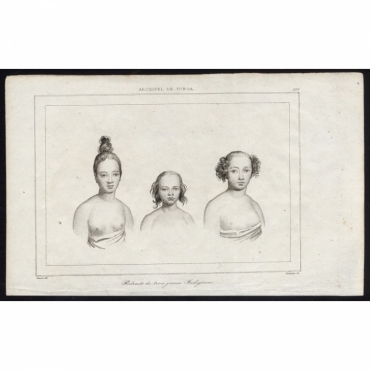 Antique print, titled: 'Portraits de trois jeunes Indigenes - 199, Archipel de Tonga', Portraits of three young indigenous persons on the Tonga archipelago. 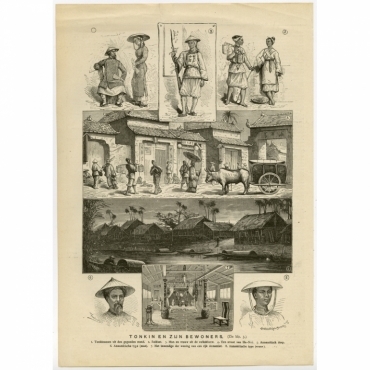 Antique print, titled: 'Korea en zijn bewoners.' - Korea and its people, city in Korea, a mandarin, an archer, a scholar in his study, House of the Governor to kang Hoa, Tomb of Mandarin, the national umbrella. 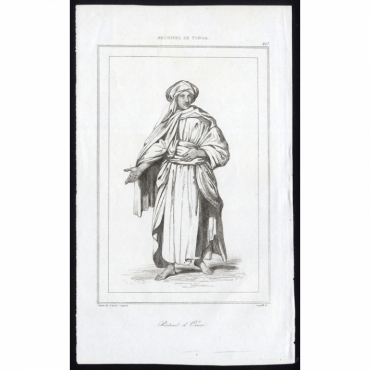 Plate: 'La ville de Dabul. - Reverence jounaliere des ministres d'Etat au Roi de Decan.' (The city of Dabul on the Malabar coast, India - Daily bows by the Ministers of State for the King of Deccan, India.) View on the left of a coastal scene with VOC merchants and ships. Extremely rare in this edition. 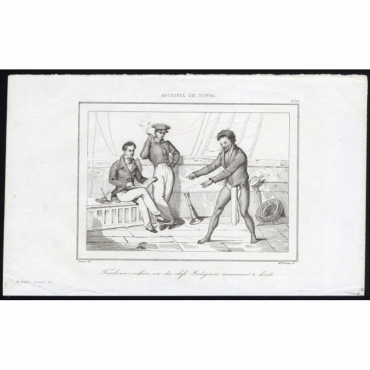 Antique print, titled: 'Tamboua-nekoro, un des chefs Indigenes conversant a bord - 209, Archipel de Tonga', A Tonga chief, Tamboua-nekoro, in conversation with the author and captain, on deck. 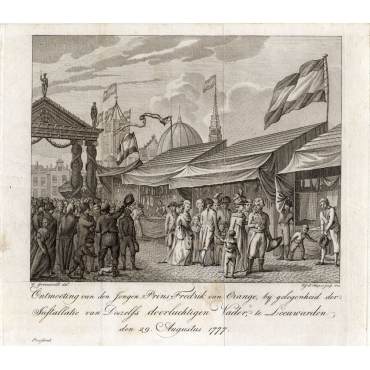 Antique print, titled: 'Kambodja.' 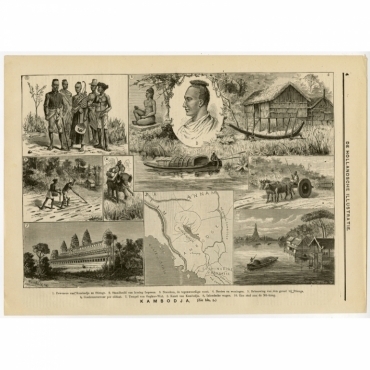 - Cambodia, Residents, statue of King Lepreux, Norodom the present monarch, boats and houses, processing of the vegetable garden, freight elephant, Temple Ongkor What, Map of Cambodia, indigenous car, a town on the Me Kong. 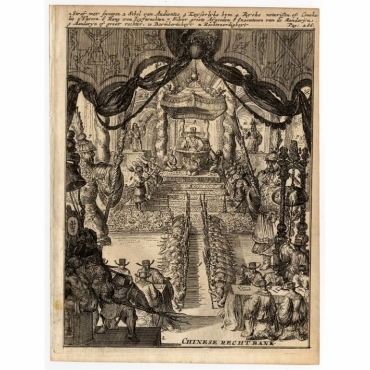 Antique print, titled: 'Tonkin en zijn bewoners.' 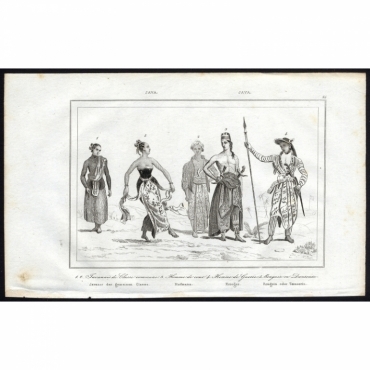 - Tonkin and its inhabitants, Tonkinese from the well-off state, soldier, man and woman from the lower classes, a street of Ha Noi, Annamitisch village, Annamite man, interior of a home of a rich Annamiet, Annamite woman.